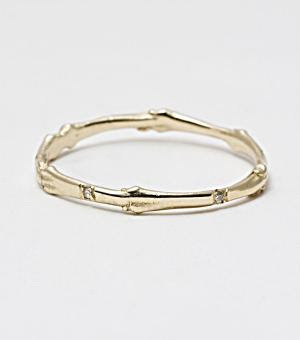 Ring fashion. We love big-and-chunkies, and now we love small-and-dainties. 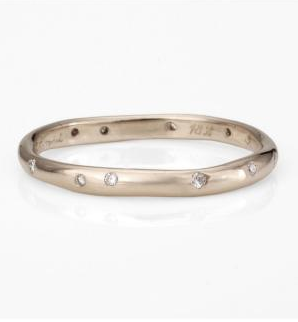 Maybe I'm biased because I chose my wedding ring to be small-and-dainty, but I'm digging it. 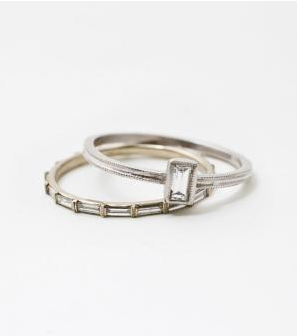 Dainty rings say to me : make a statement, but keep it feminine. Here's a sampling. What do you think? My semi-sarcastic list of new gardening wisdom from this year. Everyone have a dainty weekend! We are garden novices. 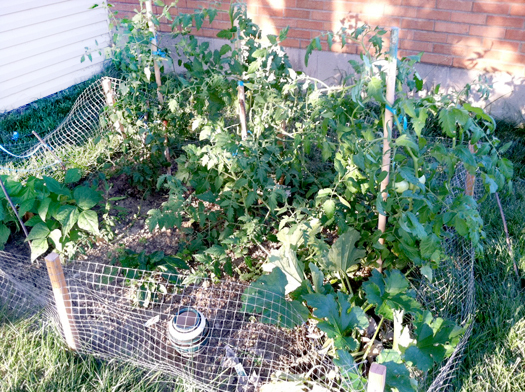 We experimented through our first little backyard garden this year. Though we had mixed results, an experiment always yields new wisdom, yes?! Yes! This is a list of what we learned, for our reference next year. It is clearly a list by and for the inexperienced gardener! Zucchinis need WAY more than 2'x2' growing space. Become a weather watcher (at least a notice-er). Sometimes we need to water the garden, sometimes we don't, but it all really depends on the last three days' weather. Home grown garden tomatoes are about 350% better than grocery store tomatoes. 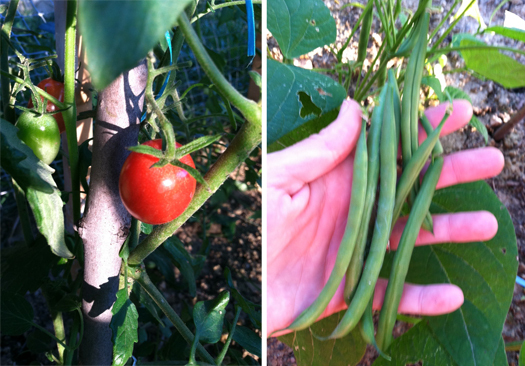 Don't plant bush green beans; plant the climbing beans. 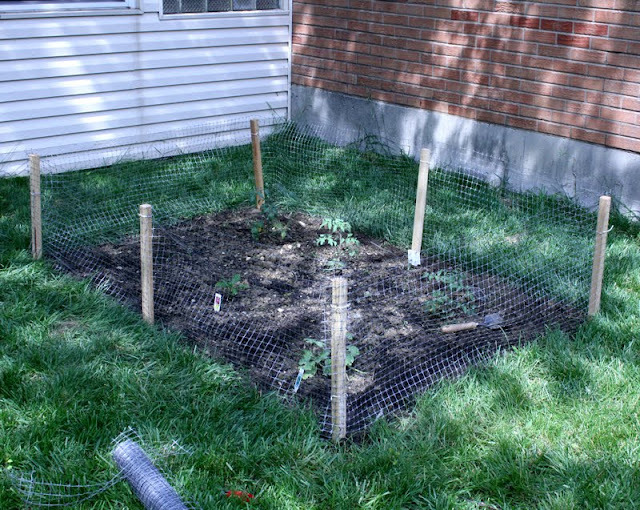 During the month of prime growing time, tie up the tomato plants every other day (they will be growing so quickly and can't support themselves). Also, get big steaks...downed twigs won't work after a while. Mortgage Lifter breed heirloom tomatoes are the winners! Sometimes a red pepper plant will only produce one red pepper. Plant earlier : early to middle of May. Our entrenched plastic chicken-wire fence worked really well to keep out bunnies and squirrels. Don't buy a veggie plant from the store that looks sickly...it likely IS sickly and may not produce a single zucchini all summer. Pick tomatoes a few days before you think they are perfectly ripe (the bugs or rot could get them if you don't). Well, that is our newly gleaned garden wisdom! I loved tending the garden this year, even if we were rather un-officious and elementary about it. More than that, I loved eating the produce...the freshness, flavor intensity, and colors were shockingly superior to grocery produce. Until next year garden, until next year. 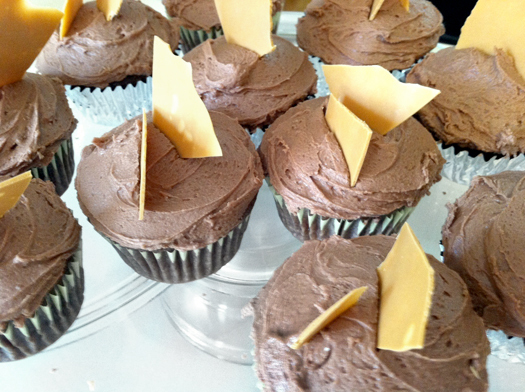 What do you do when you want to make cupcakes, but don't have eggs? Google it. Then you may find out it's possible to make cupcakes with no eggs. This recipe uses olive oil and vinegar instead. 1. Preheat the oven to 350 degrees Farenheight. 2. Mix the flour, sugar, cocoa, baking soda, and salt together in a large bow. 3. Beat in the oil, vinegar, vanilla, and water until smooth. 4. 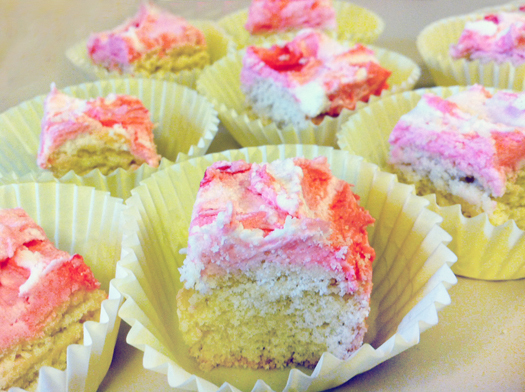 Pour the mixture into cupcake liners. 5. Bake for 30 minutes or until cake skewer inserted in the center of the cake comes out clean. 1. In a mixing bowl, cream confectioner's sugar, cocoa, and butter. 2. Beat in milk an vanilla. 3. Add small amounts of hot water until desired spreading consistency is reached. 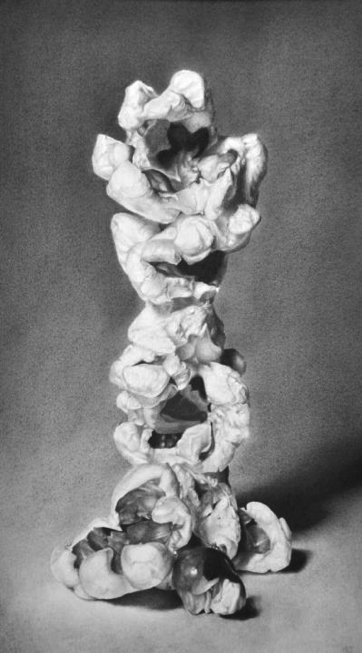 Two sheets of wax paper, approximately 18" long. 1. Melt butterscotch chips according to package. 2. 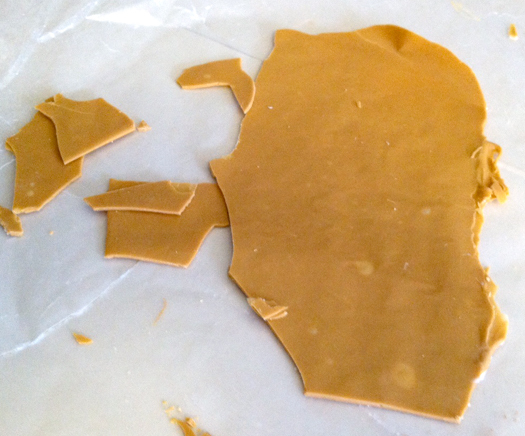 Lay one piece of wax paper on smooth countertop. 3. Pour melted chips onto wax paper. 4. Lay other piece of wax paper on top of the chips. 5. Roll out chips between the sheets until thin and even. 6. Refrigerate for 10-15 minutes or until hard. 7. Break into uneven pieces. MMMM, yes. Metallics. There are three metallic crayons in the 64 pack of Crayola® crayons. I'll start with my favorite : copper. Cooper is the richest and earthiest of the metallics. 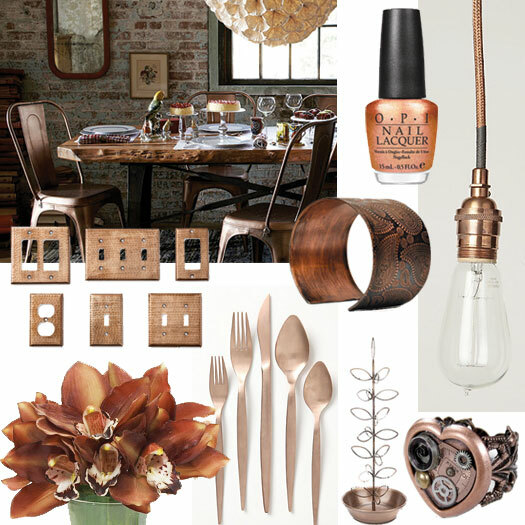 It may be the only rustic metallic color, though copper can also be chic when smooth. It handles lovely textures. So I made it a light blogging week this week! No excuses other than I just did other stuff, but I did miss it! Most likely we'll be back to normal next week. 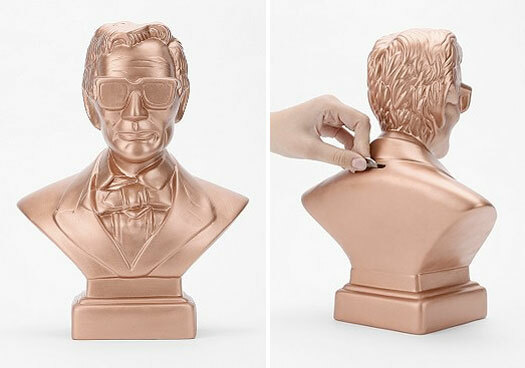 A copper-colored bust-bank of President Lincoln wearing shades. I love Lincoln, Husband and sister love Lincoln, and this is cracking me up. It's available at Urban Outfitters. The summary is short this week! My answers and comments to FAQs for 30Days, 30Dos. Guest post from Jordan Deane of Redesignation about shopping at auctions. Everyone have a truely awesome weekend! 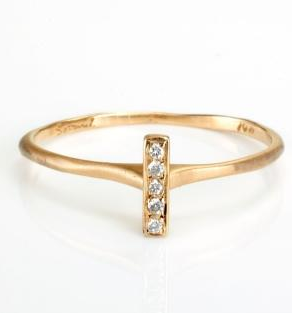 I am always on the hunt for something worth having at a steal. Designer sample sales, secret thrift stores my sister knows, Home Goods....Now consignment and auctions have also been on my mind thanks to a creative friend who just opened a fabulous consignment store in Pittsburg, PA. Jordan Deane of Redesignation is sharing her expertise on shopping at auctions. It's a great way to make a creative and personal home, affordably. Clearly she's got it down and has great taste; check out her store here! Jordan thanks so much for sharing! Soooo...who wants to go auction shopping with me soon? I must admit that when Lisa first asked me to blog about my business, I was a little intimidated. I've read and thoroughly enjoyed some of her previous guest bloggers, and really had no idea [initially] what to write about. Now that I've been officially open for a month and a half, I feel like I can more confidently write to you about all things consignment. First off, hi, my name's Jordan and I opened Redesignation--a furniture and home decor consignment shop in Pittsburgh, PA. When guests pay us a compliment on something in our home, I take such pride in being able to tell them where we found it and what a great deal we got on it. Now I'm able to offer others a way to experience this. Oh, I love my job! The biggest question I get from customers is where do I find all my goodies. I love being able to tell them stories about the items they like. Generally, my answer goes a little something like this: about 10% comes from people consigning with me (hopefully more as my reputation grows), and then the rest comes from a combination of estate sales, flea markets, and auctions. Being that I now do this for a living, it enables me to walk in and walk out of an auction with some awesome pieces for a fraction of the cost. But I want you to know that auctions aren't just for furniture store owners. You, too, can go to one and score BIG, and I'm going to share how and why you should. I remember my first auction (especially since it was only four months ago). I was such a freshmen. I walked in nervously, with no idea where to start or what to do, until I located the sign in desk. Embarrassed by not knowing the drill, I asked this lady how to get a number and she snapped back at me about having an i.d. and registering first. Oh, boy. Once we got situated it was pretty much all fun and games from there. Like a chess match, there's a lot of strategy that can go into bidding. A couple thousand dollars later, my husband and I were surrounded by a circle of our successful bids that would originally cost upwards of $25k (see what I mean about finding some steals?). This was a very good start for our soon-to-be consignment shop, and the beginning of my love for auctions in general. So how do you do it? First of all, locate an auction you want to go to. There's an amazing website called auctionzip.com. Go to it, plug in your zip code, and viola, all the auctions within a 30 mile radius. You can browse through pictures of the items they're selling and sometimes descriptions. Make sure you read about their terms. Typically, there's a 10-15% buyers' premium. This means that you're paying that percentage on top of what you buy, so be sure to factor that in when you go to bid on something. Sometimes the percentage they take is less when you pay in cash. There's an auction out there for just about anything. Kitchens, lighting, vintage jewelery, furniture, art. You name it, you'll find it at an auction, and I guarantee you'll never want to walk into a home depot or furniture store and pay full price again. Ok, next, bring your id, sign in and get your number (this is what you raise in order to bid on something). Then walk around and write down notes on anything you see that catches your eye. You never want to seem too eager for any given item, or someone will surely bid it up. Although it is illegal, I've seen it happen where people are planted to bid an item up so it goes for a higher price. Just make sure you're not telling people what you like. Always play it cool. Second, never jump on the starting bid. Wait till the auctioneer goes to a lower number. If no one jumps on it still, shout out an even lower bid. If it's at $20, casually say you'll give them $15. They'll either accept it or say no, but most likely they'll allow it. You'll be amazed at the amount of people that were previously "uninterested" who are now bidding all over it. Third, set a price in your head before you get into a bidding war. The auctioneers are good at what they do, and can sometimes bully you into going higher than you really want. Prevent this from happening by backing off of a bid, and let it go if it gets too high. They'll get to know you mean business, and hopefully not pressure you. Keep track of anything you win by writing down the lot number and price. At the end of the auction, you can collect your items and check out by paying. Hang on to your receipt and check it thoroughly for any mistakes. They usually check your receipt and items at the door to make sure you're walking out with the right stuff. So that's my secret. I hope it makes going to an auction a little less daunting and encourages you to get out there and find some deals for yourself. Because let's face it, even though our economy's tanking, we still don't want our homes to reflect that. If auctions still aren't for you, maybe it means visiting your local consignment or thrift store. You never know what you're going to find, and that, my friends, is the beauty of it all. Hey ya'll. It's been over a month since I finished my 30 Days, 30 Dos experiment! You are were so sweet to follow along, and I just thought I'd take a post to answer some of the common questions and respond to some of the common comments I hear. Above anything, I have been asked, how did you come up with that many hairstyles? I have two answers to this question, and neither paint a very capable or creative view of me: research and on accident. If you haven't hopped on the pinterest.com wagon, start now! On pinterest I was able to find and catalog a vast number of hair style photographs that interested me...even those that I had no idea how to do and those that I knew wouldn't work with my hair. I basically built a library of inspiration for my personal reference throughout the project. I still upkeep this library and you can check it out here. I also used hair words I was familiar with ("braid" "fishtail" "messy chignon") to google new options. 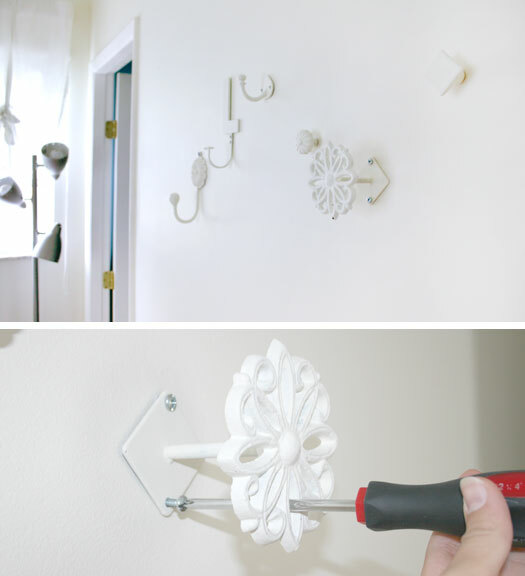 Both google and pinterest can lead you to tutorials and step-by-step instructions. 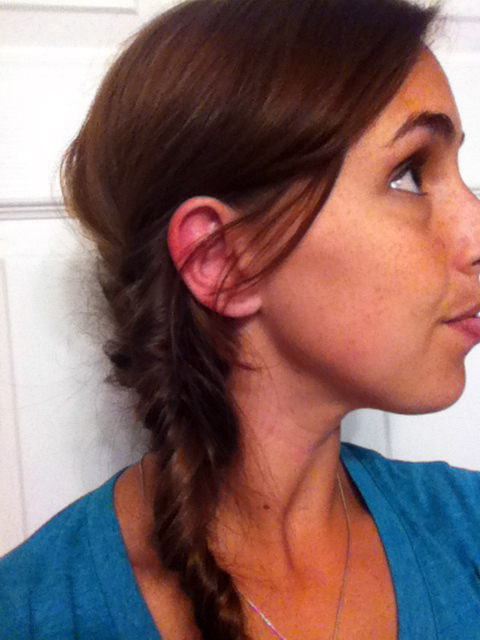 I probably watched five youtube videos of fishtail braiding before I could do it to my own hair. For a couple of the dos, I enlisted help from friends. They brought a fresh eye, new product awareness, and extra hands to the table. Those friends were a big resource. 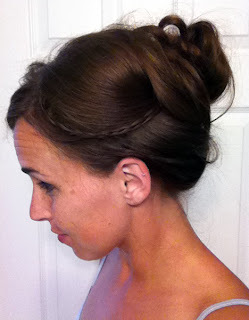 Quite frankly several of the hairstyles that ended up on the blog happened when I was attempting some totally opposite styling. Day 27 stands out in my head for this (to the left). 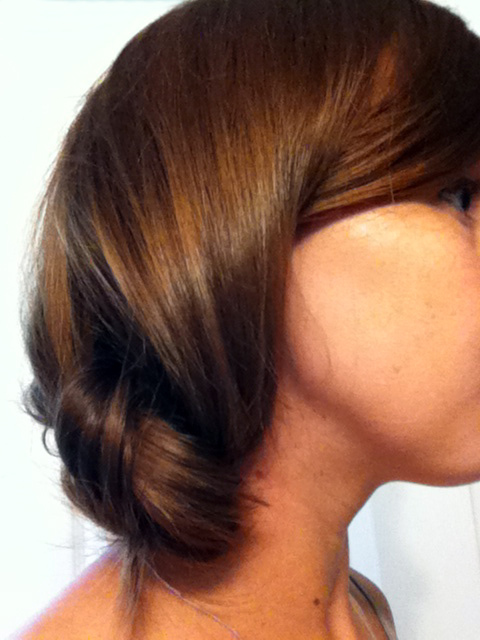 This was actually supposed to be a ponytail style. Whether my hair was too thick or too short, I will never know, but I accidentally found one of my favorites in the proccess. Next question, how did you have time to your hair every day? Honest answer, I didn't. Some mornings I just wouldn't trade the sleep or the shower for the time to do my hair. On days like that, I tried a style in the evening. If I missed a day (which did happen; it's life after all), I would try a day do and an evening do over the weekend. However my goal was to find diverse styles that fit my lifestyle. Most of these dos took under 10 minutes anyway. Final question, how did you learn to do all of those hairstyles? This question is often followed by : I couldn't do that to my own hair, or I wouldn't be able to get my hair to do that. Yes yes you can. It is the exact advise I give my mom for trying to learn the computer : You can't mess it up, don't freak out before you even begin, just try, play around, and see what happens. Start with confidence that you won't kill the computer. And you won't kill your hair either. Wearing a new hairstyle is totally up to you. If you don't like it, you can change it! There were several ugly attempts during which I refused to leave the bathroom. I just tried, and played, and didn't put pressure on myself to make it work perfectly. In the process I got to know my hair a little better, my fingers learned new tricks, and the bobby pins progressively were better hidden. The main point of all of this is that anyone can do hair experiments! I encourage you to do it, and have a blast. For today : a commercial from a few years back. I so wish I could have experienced this in person! 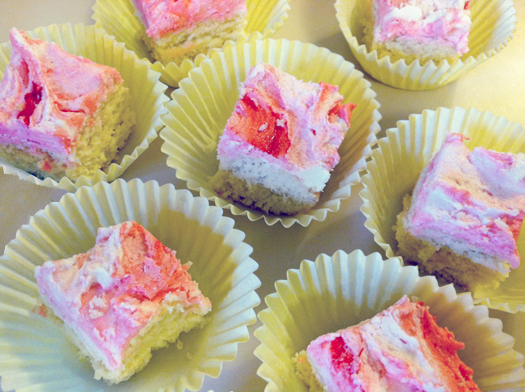 Adapted recipe for Sugar Cookie Bars...a big time saver. 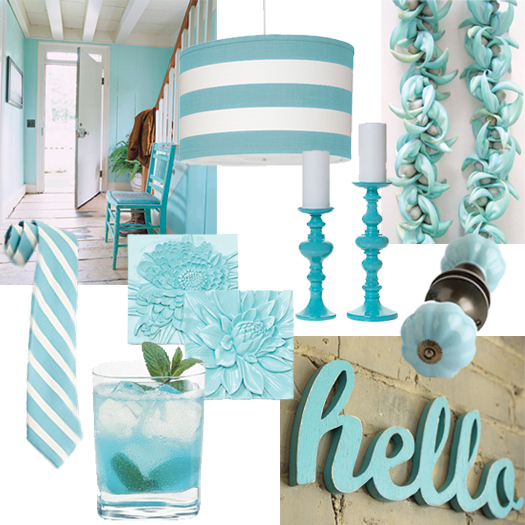 A new Crayola® Color Guide : Aquamarine. Finally a post about our house! A little de-cluttering project for the bedroom. I'd like to introduce you to our "master" bedroom. Husband and I searched for our house for eight months. We were ready to buy at any point during that time, and practically every weekend we were in and out of potential homes. Apparently we were very picky, much to our realtor's chagrin. Finally, 90 days before the tax credit deadline passed, we walked into our current home for the first time. We wrote an offer the next morning. For our budget and family, our house is practically perfect. The only real point of concern moving forward was a question. Would our new king-sized bed fit into our very modestly-sized new master bedroom? You can see the room is sweet and cozy. So cozy that currently husband's clothing and dresser are in the office, but we have plans! And last weekend, I finally put one of them into play. That blank wall that needs love was given some attention. First though, let me point out some quirks of the room, so you can understand our predicament. 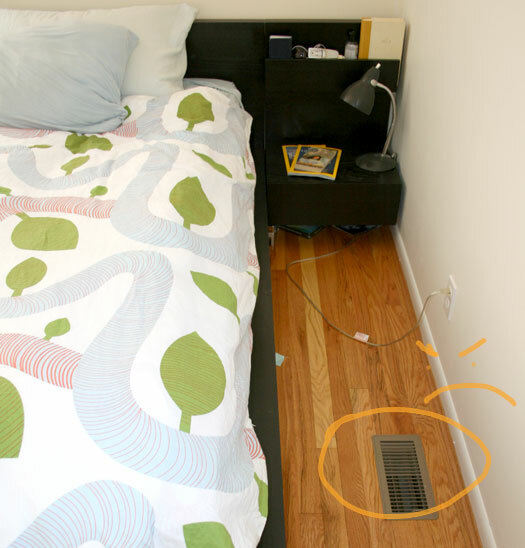 The room's one and only heating and cooling vent is on the south side of the room, about 5 inches from the wall. Therefore our ideal configuration is impossible. We can't move the head of the bed to this wall without creating incredibly uncomfortable sleeping conditions (aka, covering the vent). There is no ceiling light in the room, and this outlet is the only one wired to the light switch at the hallway door. Notice it is right in the middle of the wall and our walking space. 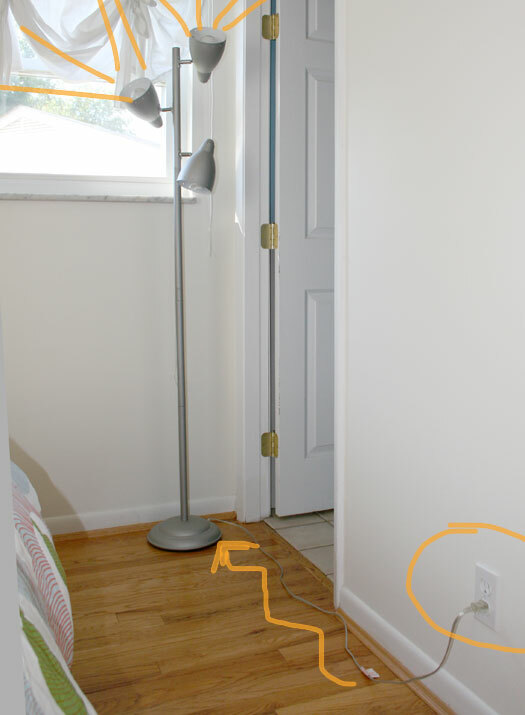 For now we have to choose between maneuvering around a standing light each time we pass, or trailing an extension cord across the bathroom doorway. Quirky. PS. Our entire interior was this color of butter when we moved in. We've painted things a soft white, but left the wall behind the bed because we have other grand plans for it. Now that you've met the master bedroom, I'll show you our first project. I'm a little bit, eh, clutter-y at times. I have no problem "storing" my clothes on the floor for awhile. Though I appreciate the laundry-saving aspects and the simplicity of knowing where my clothes are, I also understand this is a habit worth breaking. I needed to meet myself halfway. 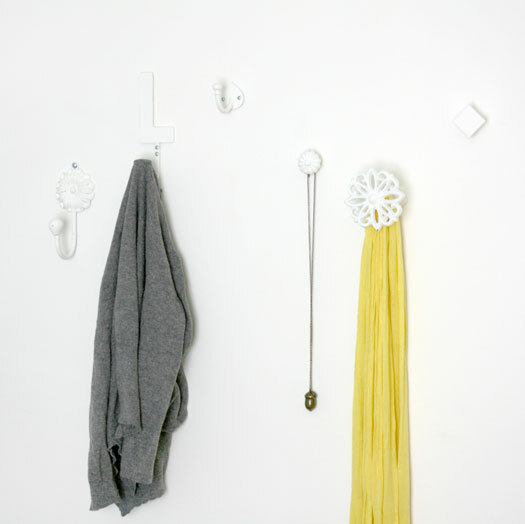 Hooks on the wall for hanging my clothes between washings seemed a good solution. Hobby Lobby often has 50% Off sales on their home decor. I happened to be in when their hooks, hardware, and knobs were 50% Off. I scooped up my favorite shapes for a grand total of about $8, but when I brought them home to the bedroom, the diverse colors and dark iron look of many of them gave me pause. Why not paint them! 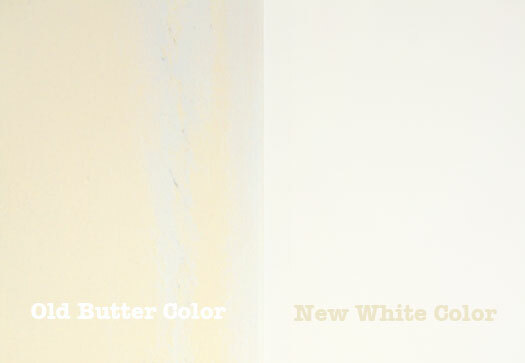 After a spray can coat of white base, I brushed on our actual wall paint color. The coverage isn't perfect, but at a glance they blend nicely. Now that wall has some spice and my clothes have a purposeful and decorative place to hang out. The floor will be so jealous! Today's Crayola® Color : Aquamarine. It's bright but brisk...It's perhaps the only pastel that could imbue the winter season. 3. Jade Blossom Lei from Sweet Blossoms Hawaii. Aren't they stunningly strange?! These are tasty like sugar cookies, but easy like bar cookies (aka, limited frosting efforts required). I want to call something out for this recipe...they taste better after 24 hours. It is as if the flavors have to settle into each other. Really, make 'em a day early and just let 'em lay. I adapted this recipe from Annie's Eats. 3. Combine the butter and sugar in the bowl of an electric mixer. Beat on medium-high speed until light and smooth, about 2 minutes. 4. Mix in the eggs one at a time, beating well after each addition and scraping down the sides of the bowl as needed. 5. Blend in the vanilla, and lemon juice. 6. In a medium bowl, combine the flour, salt and baking soda. Stir together with a fork to blend. 7. Add the dry ingredients to the mixer bowl and beat on low speed just until incorporated. 8. Transfer the cookie dough to the prepared baking sheet and press into an even layer. 9. Bake 10-15 minutes, until light golden brown and a toothpick inserted in the center comes out clean. Allow to cool completely before frosting. 10. Place the butter in the bowl of an electric mixer. Beat on medium-high speed until smooth. 11. Blend in the vanilla, salt, and confectioners’ sugar until smooth. 12. Mix in the milk until desired consistency is reached. 13. 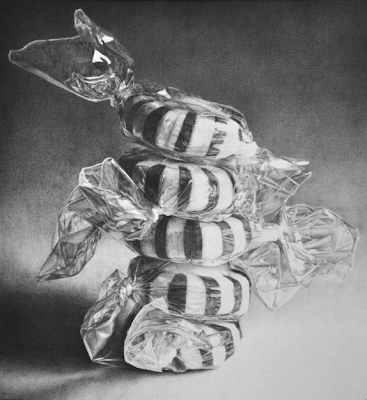 Tint as desired with food coloring. 14. Spread over the cookie in the pan. 16. Cut into bars and serve! Everyone pause for a moment and imagine Katy Perry in your office singing TGIF TGIF TGIF. Done? Excited for the weekend yet? As I've mentioned in our About Us page, Husband is an art teacher. 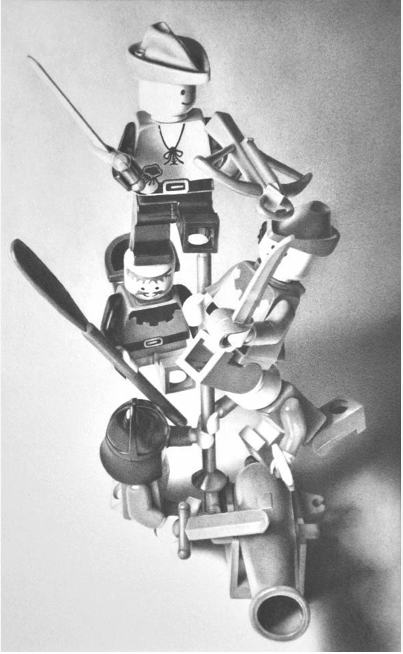 Why did he become an art teacher? Cause he's good at art. Really good. I haven't posted his work yet because his projects are intricate, realistic, and take a long time. But glory day! He wrapped up a series just this week. Awesome, yes? More of his work is here. Go Husband! 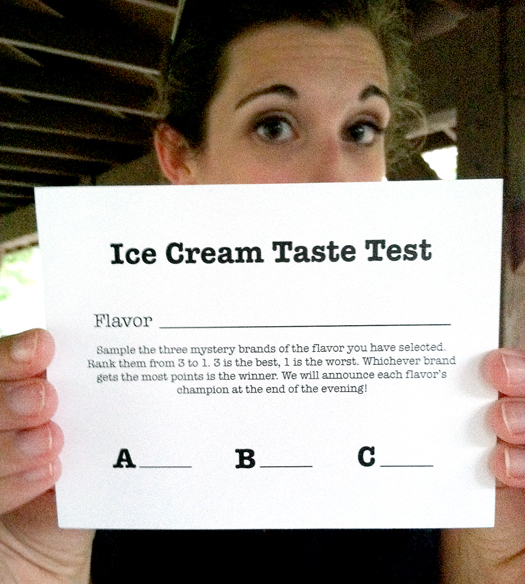 An Ice Cream Taste Testing Party with downloadable scorecards. 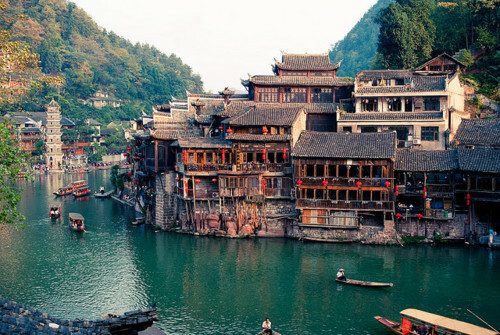 Wanderlust Wednesday in Fenghuang, China. A new Keeping it Colorful in Royal Purple. I am on the hunt for new small businesses to feature. Happy Thursday Cincinnati and beyond! I am hunting for new businesses to feature in my next small business round up. Are you a creative small business owner? Do you want to nominate a creative small business for a feature? I'm looking for any upstanding businesses run by no more than a small team of people that is within a creative field (photography, jewelry, sewing, design...). You can see my first small business posts here and here to see what I'm going for. Leave a comment with the information or send me an email at makinghomehomemade@gmail.com with all the info. Be sure to include the business website! This Labor Day weekend I took a trip up to visit my grandparents in Monroe, WI. The weather was amazing...high of 72 degrees, sunny, refreshing. I always mourn the end of summer, but this year I am forcing myself to rejoice in the autumn as well. For Keeping It Colorful I was therefore motivated to find a transitional Crayola® color for this summer-autumn change. Here is Royal Purple...a cool purple with touches of gray. 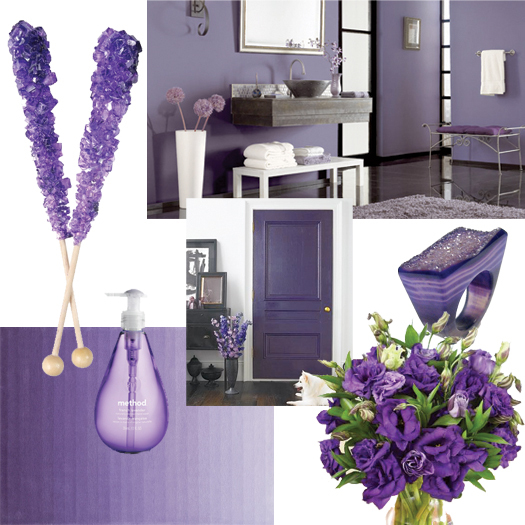 Royal Purple is a color that makes you feel important but calm, regal but relaxed. It is the perfect color for pampering products and personal rooms like bedrooms and bathrooms. 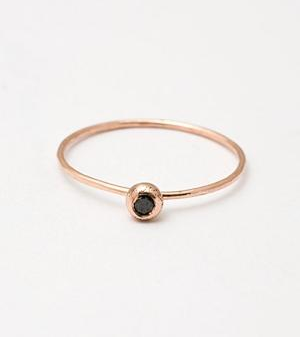 Purple Ring from my favorite, Dara Ettinger. 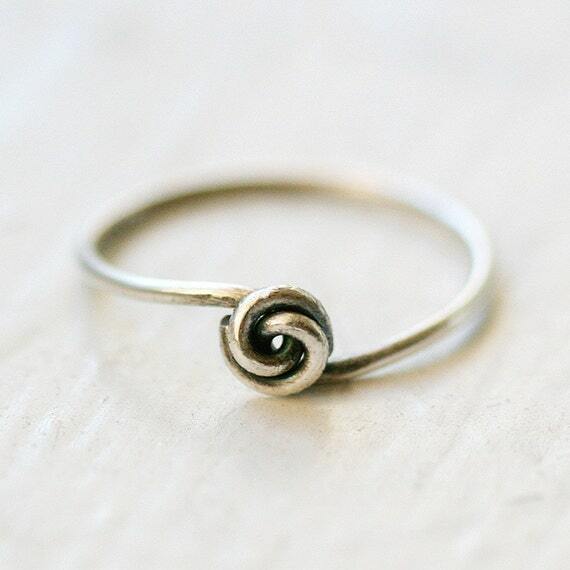 This ring is no longer for sale where I found it on Etsy, but I know from experience that their customer service is great if you contact them via facebook or email. French Lavender hand soap from Method Home. Do you think you could ever paint a whole room purple? Have you ever stood in front of the ice cream isle? Have you ever been paralyzed wondering which of the six brands of cookies n' cream is the tastiest? Is the extra $2 per 1/2 gallon worth spending for the taste you want? Maybe some of you are brand loyal to ice cream, but I am always torn at purchase time. I prescribe to the theory that, when one splurges (financially or dietarily) on ice cream, it should be good ice cream. We had our big small group kick off last week, and we decided figure this all out. 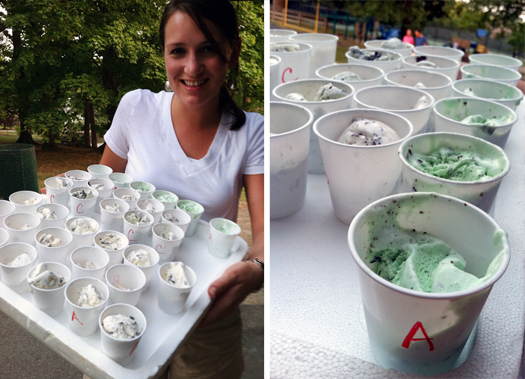 With three brands each of two flavors, lots of Dixie cups, and some informal market research, we threw an Ice Cream Taste Testing Party! Not only did we get to eat a lot of ice cream, but we got to eat six different kinds of ice cream! Every brand was assigned a letter. After tasting each, all 16 of us ranked them on these scorecards I threw together. In the Mint Chocolate Chip category: Homemade brand won by 7 points. In the Chocolate Chip Cookie Dough category: Guess what! Also Homemade brand. However this time it won by only TWO points. Kroger Private Selection brand was a close second. Mmmm. Guess who got all the leftovers? It was me. Hey everyone! This week has been simply a whirlwind! 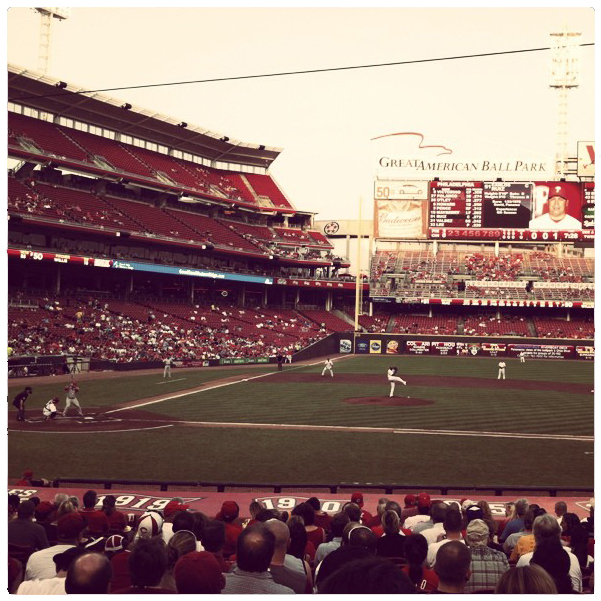 Business travel, Reds game, Bible study kick-off... it was a doozy. (Haha, doozy). I am greatly looking forward to a long, quite weekend with the grandparents. Maybe I can share some of grandma's traditional recipes when I return eh? No one cooks like grandmas. Thought provoking question : when our generation of health-conscious, anti-processed, veggie-loving young adults becomes holiday-dinner-cooking grandmas, I wonder what we will serve. Hopefully it will be just as delicious, and exponentially better for family gorging. ANYWAY. I have something uplifting for Friday. 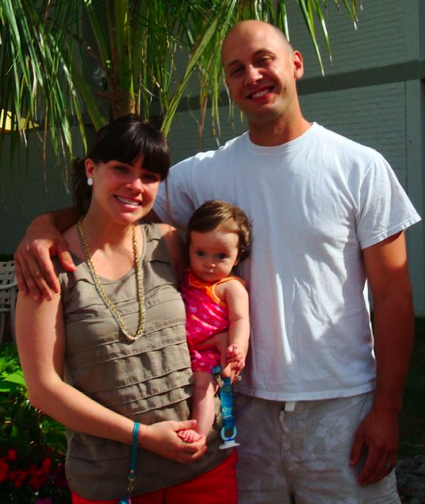 Do you remember the small business featurette about Amy and her Rainbow Town Project? September is a big month for Rainbow Town. They launched their Art4School Campaign! 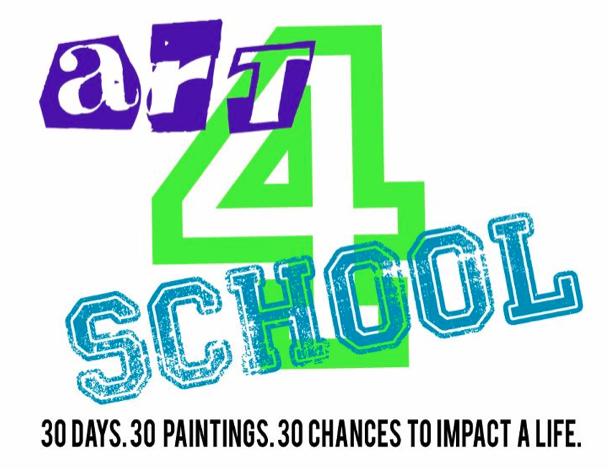 Every day in September, a painting made by one of the orphans will be posted on their Facebook page...think of it as a flash sale. Every dollar from the purchase funds the education of the Rainbow Town orphans. I love that Rainbow Town gives the children the opportunity to create for and participate in funding their education. The bright colors and organic shapes are the perfect conversation piece for my office. Check them out and see if there's anything you like! Wild Strawberry mood board for Keeping It Colorful. Whimsical lavender fields in France. Two of our man-friends, husband, and I hit up a Reds game last night. MY FIRST ONE this summer! Thankfully I no longer feel disloyal to my city and thoroughly unamerican. I do love a good summer baseball game. Did you know that the Reds are the oldest team? 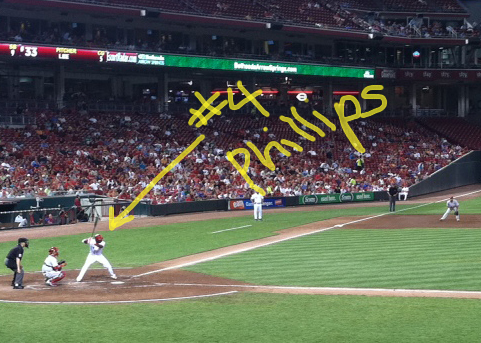 I kept filming in hopes of catching an awesome play by one of the stars...but the Reds had a rough hitting night. Instead, here's Rosie. And this one's for you Laura! Smiley Phillips. He's my favorite too.